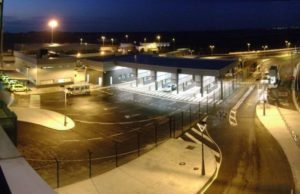 The Defence and Security Accelerator (DASA) is launching a new competition on behalf of the Future Aviation Security Solutions programme (FASS) focusing on vehicle checkpoint (VCP) screening at airports. • vehicle engine compartments: both conventional bonnet and ‘tilt cab’. • bulky loads such as: construction materials; large liquids (including fuel containers) or sealed packages. • screening other hard to search parts of the vehicle, such as the driver’s cab or load space. In addition to new screening techniques, they are also interested in existing technologies being adapted to work within the VCP setting. All solutions must be capable of being used within the physical and operational constraints of VCPs, which often have limited space. The competition will be launched in mid-July with an initial budget of £1 million to fund a mixture of low and mid-level TRL proposals. Contracts are expected to be awarded in January 2019 and will run for six months. It is expected that a second phase of funding will be made available to help further develop promising projects from the innovation track. Full details of the competition will be made available soon on the DASA website. If you would like to be notified when they are please register your interest at accelerator@dstl.gov.uk, with the subject line of Vehicle screening EoI. Click here to see the competition summary.